Electoral malpractices are not new to India. Most of these malpractices occur either during the campaign or on the polling day. Bribing the voter inducing the voters through gifts, impersonation of voters are all well known ways employed by the political parties and such practices were widely reported in earlier elections. However the state of Andhra Pradesh (AP) is witnessing a new kind of electoral malpractice in tampering with the voters list even at the stage of preparation of such lists. It is happening in such a smooth way employing the technology and also under the patronage of the ruling party. More dangerous in this practice is the usage of official data collected for the government purpose for the party purpose. 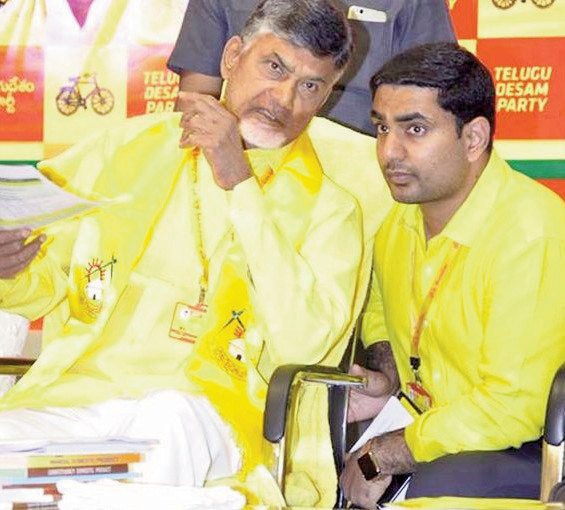 Chandrababu Naidu and his son Nara Lokesh The line of difference between the government and ruling party is allegedly erased with the blessing of the Chief Minister Chandrababu Naidu and his cabinet colleague Nara Lokesh heading the IT ministry. That minister is the son of Chief Minister and undeclared number two in the cabinet and heir to the party. Presently, under investigation by the Hyderabad police the crime of data theft is unknown in any state. The modus operandi is explained by the commissioner of police of the Hyderabad and also the chief of special Investigating team (SIT) appointed by the government of Telangana. The government of AP has collected the data through two fronts. One through government channel where individual family details including the Adhar number, bank account details are collected with the declared aim having the date on the beneficiaries of government sponsored welfare measures. At another level the chief Minister of AP developed a technology centre through which recorded voice interacts with the voters. Telephone calls are made by CM enquiring about the satisfactory level of the government performance. There is no objection if the intention was to have a feedback from the people. But what is being alleged is that the phone calls are monitored at a different level. Some people may not like to hear the CM voice and disconnect those calls. So may receive but cut the phone midway. If a particular number is not responding to CM calls, it is believed that such numbers are marked as anti government and such names are specially fed to the members in the field. 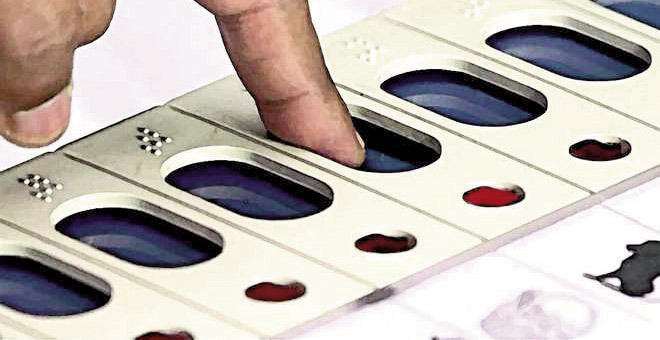 The ruling party adopted the technique of adding bogus voters to compensate anti incumbency. Such malpractices are reflected in the number of votes at present compared to what it was in 2014 elections. As per the Eenadu, the largest Telugu circulated Daily run by the media baron and owner of ETV channels, there is an increase of voters in AP by only 1,72,211 in four years. It is hard to believe. Earlier the voter list verification is done through school teachers in the village who have the knowledge of the village voters who are residing still or who moved out of the village. Now that job is entrusted to lowly paid part time Anganwadi workers who are compelled to repprt in the way the ruling party expected. Such voters perceived to be anti ruling party are reported to have not receiving at the given address and basing on that fabricated report voters names are deleted. Ruling party also adopted the technique of adding bogus voters to compensate anti incumbency. All these malpractices are reflected in the number of votes at present compared to what it was in 2014 elections. As per the Eenadu, the largest Telugu circulated daily run by the media baron and owner of ETV channels, there is an increase of voters in AP by only 1,72,211 in four years. It is hard to believe. The same report also says that there was drop in the voters’ number in all major towns and cities, including the emerging capital region Amaravathi. 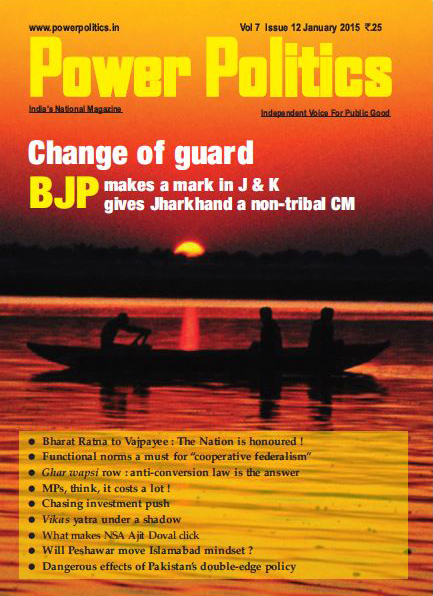 If we go by the Eenadu report, there is an average increase of around 400 voters in each constituency barring a tribal reserved constituency of Rampachodavaram. 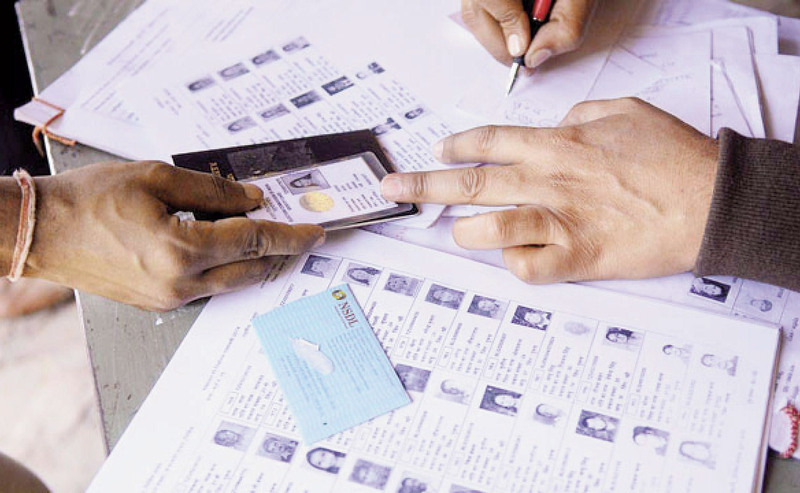 The New Indian Express reported another shocking voter numbers in Kurnool district. In this district basing on the age profile 26,49,995 are eligible to vote. But to the surprise of the officials there is a total electorate of 28,90,884, an excess of over two lakhs. It is these reports which made the political parties to get suspicious of fishy happenings and started doing independent investigations primarily to safeguard their own political interests. Thus tumbled the alleged ‘date theft’ by a IT firm namely IT Grids based at Hyderabad. On a complaint by vigil blower the police raided the said IT firm and stumbled upon the official data which is an exclusive domain of the government agencies in the hands of the private firm. From where did that particular IT firm get those coloured voters cards which should be either with voter or EC. How could that IT firm get the Adhar linked data of AP voters? What was that company doing with this official data? The company is headed by one director Ashok who is absconding ever since his firm was raided. He remained untraced and there is now way SIT can serve him notices and even to such notices which were pasted on the door of his home there is no response. Meanwhile very highly paid legal team from Delhi flew to Hyderabad to argue Ashok’s case. In public that untraceable director of IT Grids Ashok is defended by the ruling TDP and the media supporting that party. The CM said that his party has engaged IT Grids for party purpose and all the data of their own party workers is being processed by that firm. If that was true, why director of IT Company is not coming out in public and say so is the question voters are asking. Meanwhile, the entire flow of information and activities of the IT grid is exposed by the Hyderabad police. The official information collected by AP IT wings was transferred to the private IT firm if not directly but indirectly. That IT firm through an App ‘Sevamitra’, which was exclusively developed for the ruling party, has linked to the official data and party data and through a sophisticated data analysis mapped the entire voters and their voting preferences. This information was given to the booth level, village, constituency level ruling party workers to work out a strategy to delete the voters who are not so favourable to TDP and approach the identified neutral voters and induce them by offering them benefits by including their names in the government social benefit schemes. Such are the highly sophisticated methods employed in the AP to hit at the very root of the democracy. The voters list is programmed to suit the TDP and ensure despite its failure in many ways in meeting the aspirations of the people. At the primary level itself, the voters are axed. They are not given the chance to express themselves. Come April 11, when the state elections and the first phase of Lok Sabha elections are scheduled, the entire conspiracy of the ruling party will blow on the voters. A voter who waits for their turn to vote will be utterly disappointed when their names are deleted by dubious mean. If this manipulation of voters list went unchecked in AP, this malice may and will spread to other states making it mockery of democracy. The EC should interfere and prevent such malpractices . The EC can’t say that they are concerned with the actions after the poll schedule is announced. That technical explanation may not satisfy the feelings of the voters who lost the chance to express their voice of political preference.